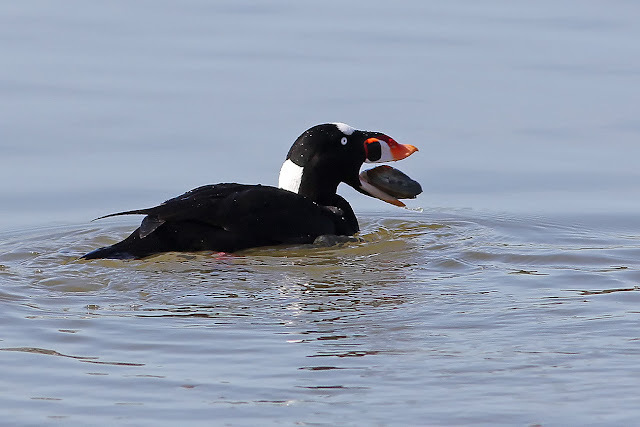 As a follow up to the previous Surf Scoter post, here is a shot of one snacking, taken last Friday. One of the things that makes Shoreline Lake unique (aside from its proximity to the Bay) is that it is a saltwater lake. Many of the birds are very approachable - it makes for a wonderful photographic stop.